Gorgeous 6 BR, 4.5 bath home in desirable Cureton in Waxhaw! This home has a ton of upgrades! Large gourmet kitchen with stainless steel appliances, double oven, granite countertops and eating peninsula, and a sun-filled morning room off the kitchen. Beautiful, dark hardwood floors grace the kitchen, dining room, sun room, great room and formal living room. Main floor bedroom & full bath allow for a perfect guest suite. Large master bedroom with sitting/den area. This home offers a third floor that can be used as a bonus room or sixth bedroom. Composite decking and nice size yard. Cureton community offers a clubhouse, pool, walking trails, fitness center & playground. Won't last! 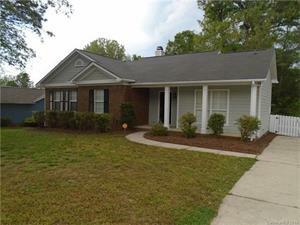 Simply fantastic full brick ranch home on a quiet street in Mint Hill on .63 acre lot--not in a subdivision, no HOA! Parking pad and two outbuildings/workshops! This upgraded home as 3 BRs, 2 full baths with 1850 s.f. of incredible living space. Beautiful wood floors are throughout the main level. Amazing kitchen has granite counter tops, lots of cabinetry, stainless steel appliances including gas stove. Living room features vaulted ceiling and lots of sunlight and windows and a floor to ceiling stone hearth. Rear of house has wonderful screened porch, large patio, parking pad, fence and two sheds/workshops. Master bath is upgraded to the hilt! Don't miss out on this one! Desirable South Charlotte location in Walnut Creek! This traditional home is tucked away on a .40 acre lot and offers privacy with lots of beautiful mature trees. One of the best highlights of this home is its amazing tiered deck, fantastic for entertaining or relaxing in your oasis! The rear yard has a fence and the interior has granite and tile in both the kitchen and baths. Separate formal living room and dining rooms, and a large family room offer plenty of space for all. In the heart of South Charlotte/Ballantyne convenient to just about everything! Only minutes to I-485, South Park, Blakeney, Carolina Place Mall & more! Walk or bike to the greenway. ALL REALTORS ARE WELCOME TO SHOW YOU THIS HOME BY APPOINTMENT. Incredible home in Smith Field subdivision in Unionville is set on 3/4 acre lot with huge, flat back yard with fencing. Master is on the main level along with a huge laundry room. Home has 4 BRs, 3.5 baths and 3060 s.f. and has a side-load, 2-car garage. Wide open modern floorplan with gleaming wood floors throughout the main level (and also in the upstairs master BR!) Two-story great room has floor to ceiling stone fireplace hearth and is open to a large dining area, breakfast bar, breakfast area and kitchen. Kitchen is upgraded with granite counter tops and stainless steel appliances. Rear yard has stone paver patio and fire pit. 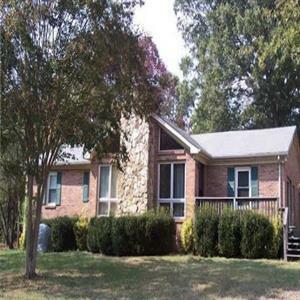 Country living close to highways and more! 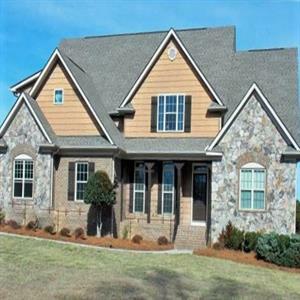 The fantastic neighborhood of Quellin rests between Marvin-Waxhaw Rd. & Providence Rd. and is packed with amenities: clubhouse, pool, playground, recreation area! This full-brick home has almost 4000 s.f. of living space and offers 4 BRs + bonus, 3.5 baths, and a 3-car side-load garage! Cul-de-sac, scenic lot on 1/3 acre. Gorgeous kitchen has lots of granite counter tops and beautiful cabinets, center island with cooktop and prep sink, wall oven/microwave, stainless steel appliances, large walk-in pantry and butler's pantry. Sunny breakfast area. Main level has incredible hardwood flooring throughout. Two-story great room with tons of windows and natural light. Private study on main level, dining room, formal living room. Upstairs are 4 bedrooms, including the master bedroom, and a large bonus room. Secondary bedrooms are very good size with walk-in closets. Back yard with treed backdrop. Walk to community pool.